Free table widget let the user create a fully customizable table. 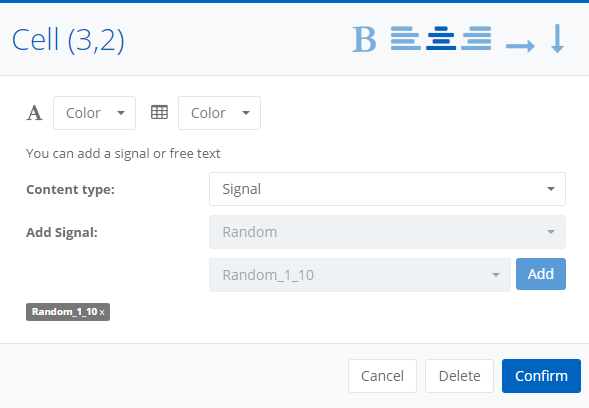 Rows and columns numbers are requested in widget creation. The widget is empty at creation, every cell will show a + button to add content. 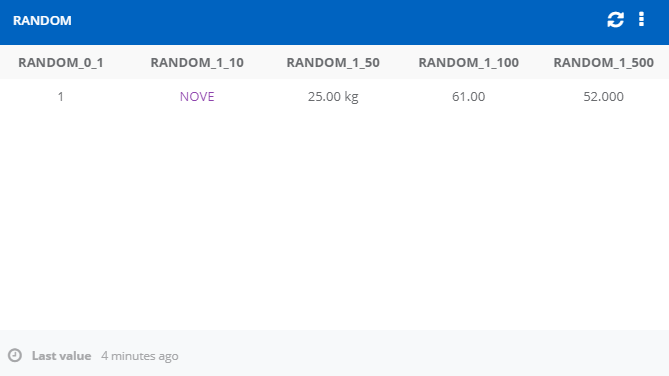 By clicking the button in a cell, the corresponding window is displayed. to set cell background color. It is possible to choose among Signal and Free text content. In case of signal, the value corresponding to the selected option in widget menu is shown (real value or substitution). The widget is usable for both the dashboards and the reports. In the settings you can set a caption for the widget, it will be visualized just under the widget in the generated report.